Love this card. Absolutely fabulous. 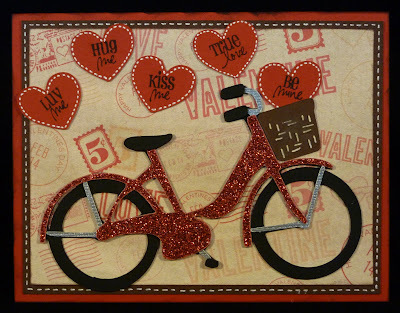 Katie, I love this card and the bicycle is perfect!! Have a great weekend. I LOVE that sparkly bike! I may have to borrow this idea. It's too cute! so so so cute! Love the bike! Amazing card! I have an award for you on my blog! Thank you for being inspirational!! Wow! Totally beautiful! I made one with the same idea, but it was not near as beautiful as yours!!! Love it!!! This is adorable!! I love it! TFS! I so love this card and the bike is too cute! I really love how you blinged up the bike with the stickles! Thanks for the inspiration!